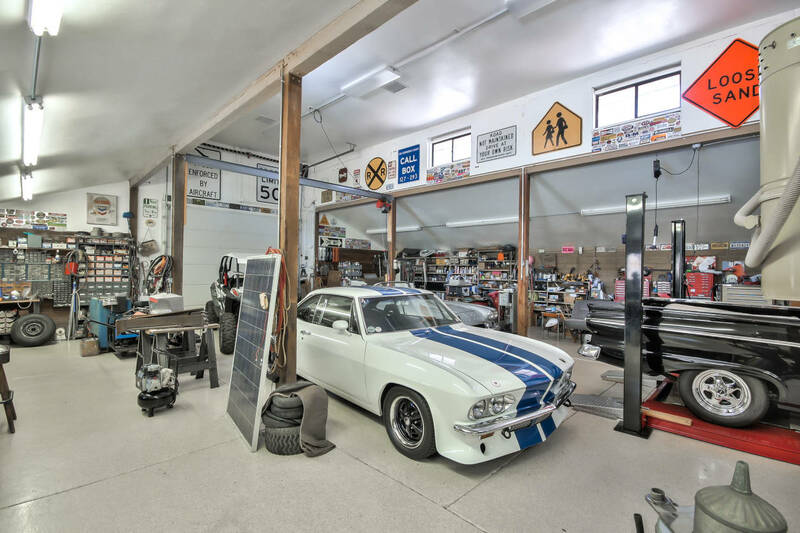 Welcome to this Equestrian and Car Enthusiasts Dream! 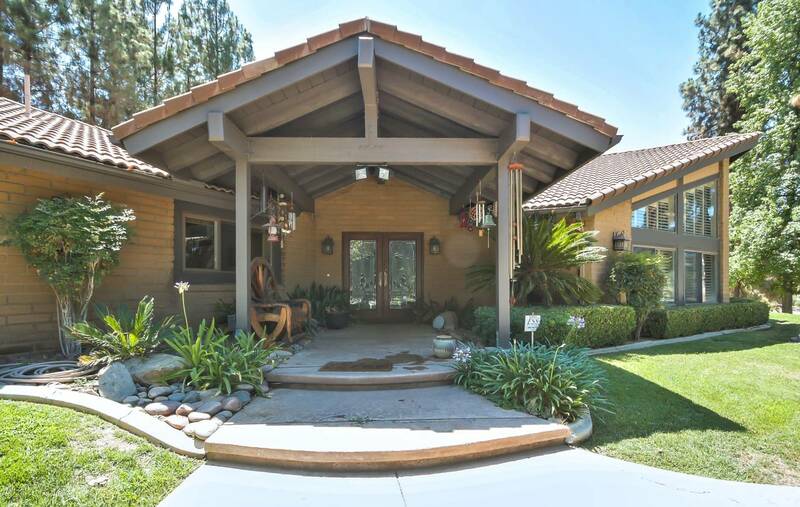 A beautifully landscaped gated entrance welcomes you to this turnkey 4405 sq.ft. single story home, located on 13.59 Acres. The horse enthusiast will love the 170 Ft. barn, arena and 6 pastures! 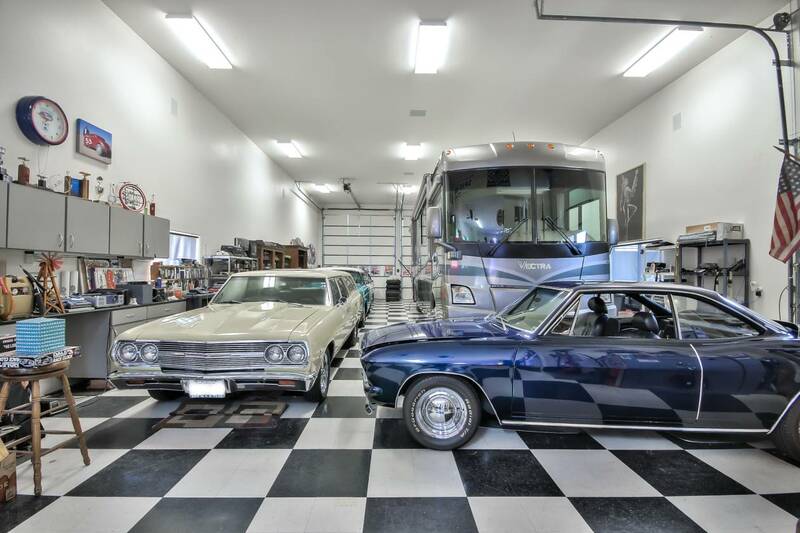 The car enthusiast will love the 2 car shops on the property. The first shop includes 2 RV doors, wet bar and a 1/4 bathroom. The second car shop includes 2 full 1 bedroom apartments;600 sqft and 432 sqft, washer & dryer and 2 workshop areas and car storage. The property features 140 owned solar panels, a well, a 30KW Generac whole property generator and 3 security systems that take care of your entire ranch! The only bills are propane, trash, internet and TV! This 3 bedroom/4 bathroom fully upgraded custom home features vaulted ceilings, travertine tile, hardwood floors, granite counters, 12 inch crown molding, ceiling fans and special custom touches. The large kitchen and family room features extensive cabinets, center island, Thermador double ovens, Sub Zero refrigerator/freezer, Miele dishwasher, walk in pantry and a table with a built in seating. The formal dining room and living room feature a fireplace and a full wet bar. The perfect entertaining area! The library and seperate half bath lead into the bedroom wing. The exquisite master suite offers a fireplace, a large walk in closet with built in's and a storage closet. 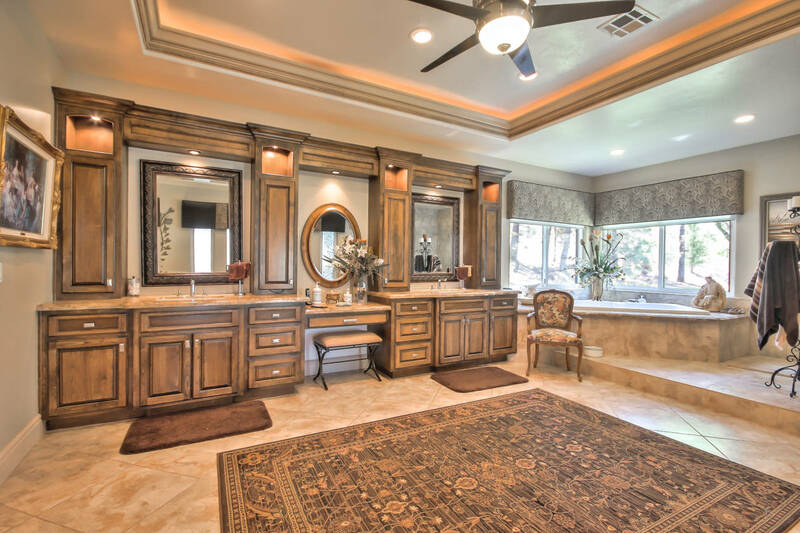 The master bathroom features double sinks with a vanity in the center, a jet tub and over sized shower with dual shower heads. The remaining two bedrooms has an over sized jack and jill bathroom. Welcome to your new Ranch! 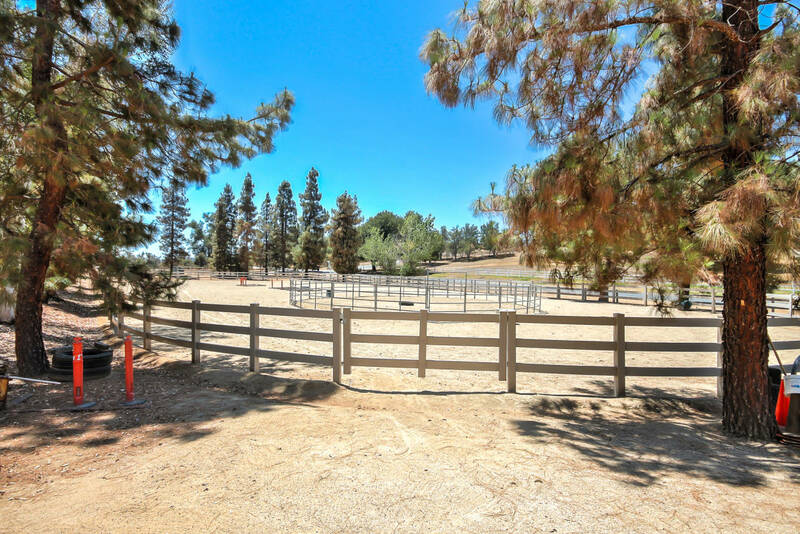 The Ranch is fully fenced and cross fenced, located on approximately 13.59 Acres. It runs parallel along Avenida La Cresta. It features 6 pastures across the front of the property, allowing movement of your stock daily. The back of the property offers a large buffer from any neighbors, giving you room to grow and privacy. There are paved roads around most of the property, offering ease of travel. 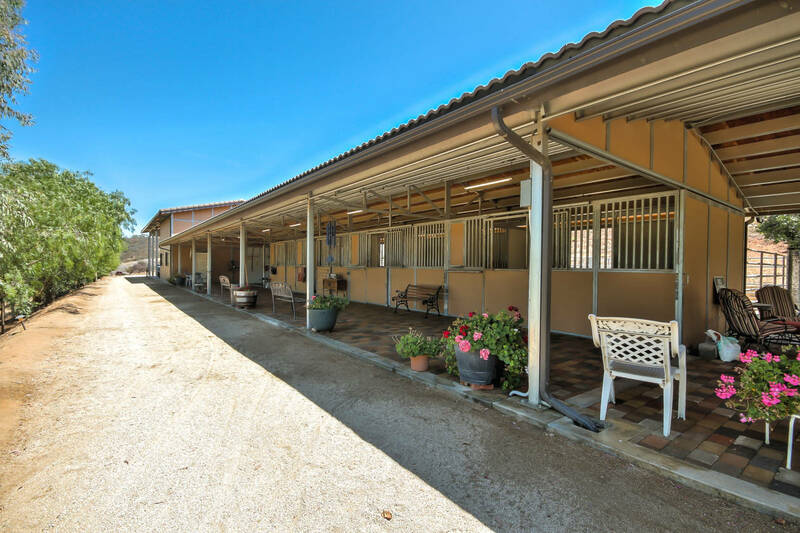 The 170' horse barn features 4 stalls with in & outs! The barn area has pavers, allowing ease of clean up reduces dust around the horses. The 2-stall wash rack, hay barn and tack room are all conveniently located next to the horses! The back overhang offers your trailer, truck and tractor cover from the heat of the sun or rain. The horses can be easily turned out each day to one or more of the 6 large pastures or go work them in the 100 X 200 Arena or round pen area. 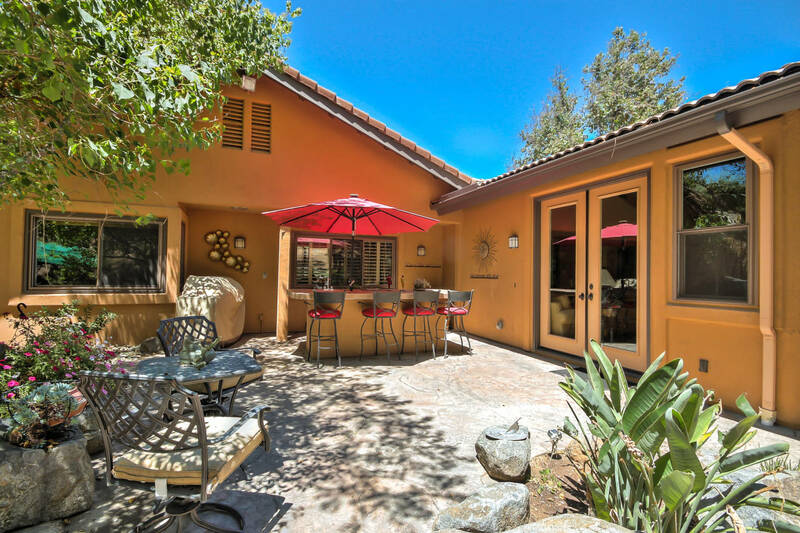 CONTEMPORARY EQUESTRIAN ESTATE ON 4.8 ACRES, IN THERMAL, CALIF.
EQUESTRIAN BUSINESS OPPORTUNITY IN DESERT HOT SPRINGS, CA. 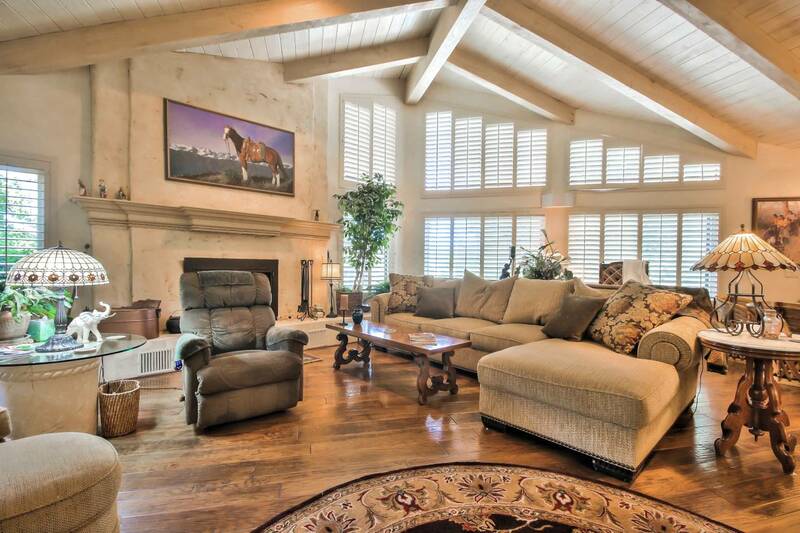 WORLD CLASS EQUESTRIAN FACILITY IN THE HEART OF RANCHO MIRAGE, CA. 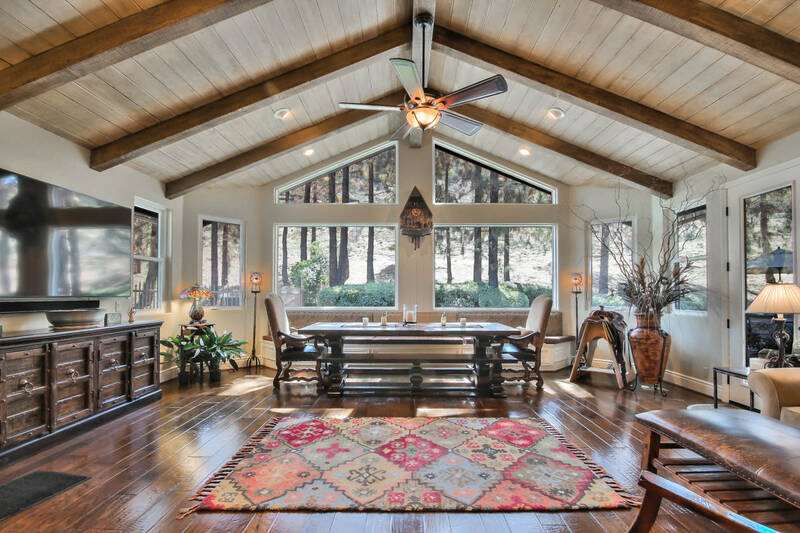 CUSTOM HOME + GUEST HOME ON 5 ACRES IN COACHELLA! 2.9 ACRE HORSE PROPERTY WITH 6 CAR GARAGE,RV GARAGE & WORKSHOP MINUTES TO O.C. IDYLLIC DESERT RANCH JUST MINUTES FROM LA QUINTA, CA.-JUST MOVE IN AND ENJOY! WONDERFUL EQUESTRIAN ESTATE, BOARDING FACILITY, NEAR PROPOSED SHOW PARK! SPECTACULAR VIEWS FROM THIS MOUNTAINTOP LOG HOUSE RETREAT ON 12.42 ACRES! GATED, CUSTOM HORSE PROPERTY WITH BREATHTAKING VIEWS! 4 ACRES, UPGRADED HOME, STUNNING VIEWS, FULLY FENCED, DETACHED GUEST HOUSE! 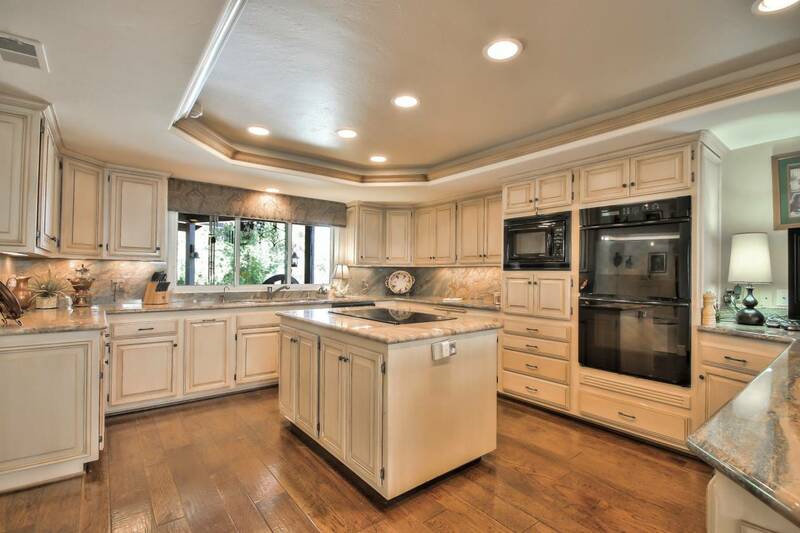 EQUESTRIAN DREAM, 2 HOMES LOCATED IN THE PICTURESQUE COMMUNITY OF GARNER VALLEY! EXQUISITE 8+ ACRE POWAY PARCEL WITH AMAZING VIEWS! GRADED AND READY TO BUILD ON! 4.73 ACRES IN TEMECULA WINE COUNTRY! GORGEOUS SW RIVERSIDE COUNTY, CA 20-40 ACRES FOR SALE! 77 ACRE HORSE LAYUP ON THE BORDER OF LA QUINTA, CA.